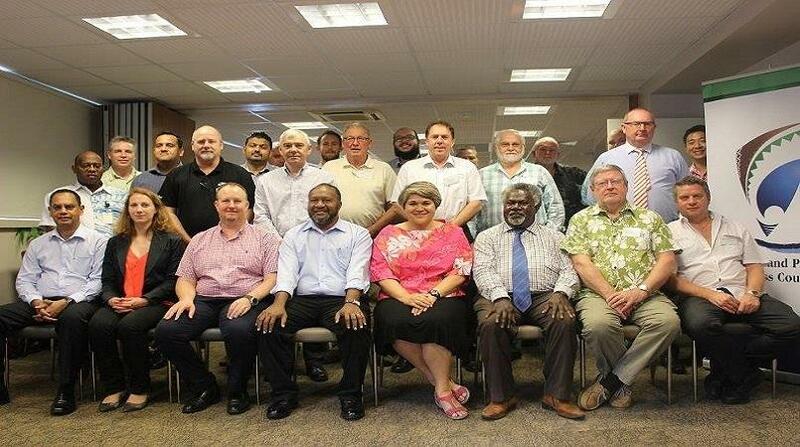 The Chairman and Beca Technical Director of Planning was part of the recent NZPBC Business Mission to Vanuatu, which attracted 17 people, representing 12 companies in NZ. “We had a wide range of companies … and a mix of people already doing business in Vanuatu – for example, Tegel Foods who are a large supplier there and have been for a number of years,” Graeme says. “Tegel used the mission for the annual visit to its market partner but there was also new people interested in doing business in Vanuatu. Other businesses represented included energy companies direct providers such as Vector, North Power, and those with an interest in renewable energy such as Christchurch-based Windflow Technology Ltd.
Beca, Fletcher Aluminium, Alrite Steel, Advance Boiler Services, NZ Marine Brokers, NZ Trade and enterprise and Tradestaff were also represented. The delegation was officially welcomed on its arrival at the NZ High Commission in Vanuatu, at an event attended by NZ High Commissioner HE Georgina Roberts, the Vanuatu Prime Minister Charlot Salwai, Deputy Prime Minister and Minister of Trade Joe Natuman and members of the business community. Two full days of presentations, meetings, networking and site visits followed, giving delegates an overview of the market and country, what businesses need to do if they want to invest in Vanuatu, and who to contact should they want to explore the market further, Roberts says. The financial sector, tourism sector, and aid and development sector were among those who gave presentations, while site visits included the Waterfront Beautification Project, funded by NZ Aid Programme, executed by Hawkins and designed and supervised by Beca. Delegates also visited Dynamic Supply and the Devil’s Point Wind Farm before a dinner concluded the mission. “Feedback from members is that the mission was focused and the networking opportunities were great … so from the New Zealand Pacific Business Council point of view, it was a very successful mission,” Roberts says. Vanuatu is very much open for business for NZ companies, he adds. Meanwhile, NZPBC has invited the Vanuatu Government to sponsor a Trade Mission to NZ early 2017, and it is targeting a return to Vanuatu the following year. 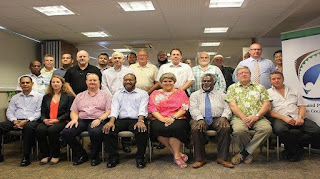 The next NZPBC mission will be to the Solomon Islands in 2017.